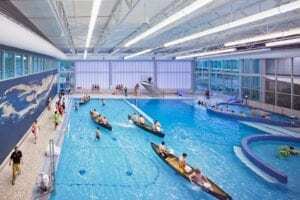 The award-winning, $70-million James A. Steen Aquatic Center, designed by Gund Partnership in association with Counsilman-Hunsaker, offers a spacious, welcoming, and architecturally stunning 263,000 sq. ft. collegiate center. Open views and abundant natural light throughout promote friendly interaction while saving energy. 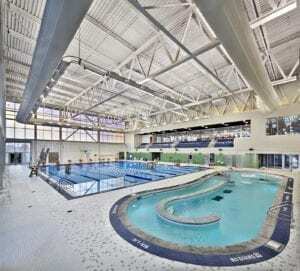 To control noise and streamline the roof profile, mechanical systems were located and distributed underground. 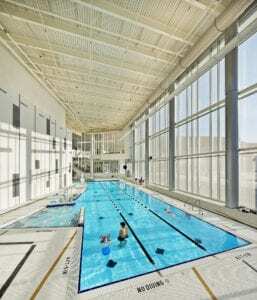 With soaring glass walls, arching steel trusses, and sleek lines, the climate-controlled natatorium offers a 50-meter by 25-yard pool with one-meter and three-meter springboards. 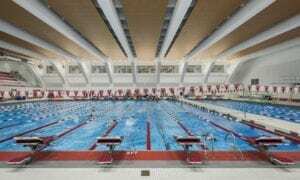 Features include 20 short-course lanes, nine long-course lanes, special wide gutter construction, and carefully calibrated water depth. 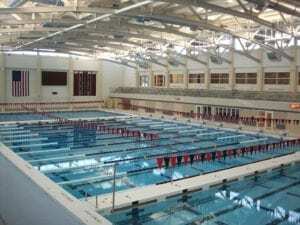 For fans of the Kenyon Lords and Ladies national championship swim teams, a Colorado Timing system, full color video scoreboard, high quality sound system, and 370 spectator seats provide viewing enjoyment. A moveable bulkhead offers versatility to accommodate other lessons, fitness, and activities while a 151 sq. ft. whirlpool spa extends a rejuvenating sanctuary for soothing muscles. In 2015, Counsilman-Hunsaker provided a swimming pool audit for the 50-meter pool and its associated systems. 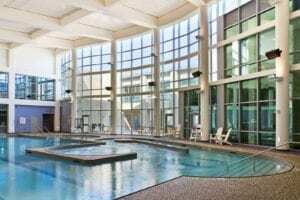 The audit defined a course of action regarding any necessary updates, repairs, or modifications to the pool or pool systems. 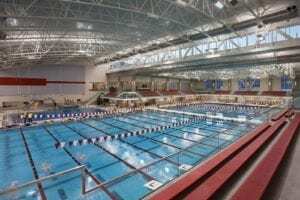 In addition, an opinion of probable construction cost was provided for recommended repairs and/or updates, which would serve to improve the operation of the pool and bring the facility up to current industry swimming pool design standards.